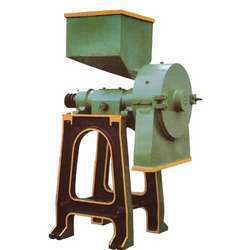 Our clients can avail from us a wide range of Industrial Pulverizer that is designed using optimum quality raw material. These pulverizer are known for their accurate dimensions and strength. In addition to this, we also offer customization facility on the products. Widely used for crushing and grinding various products to fine and Ultra fine particle sizes. The basic principles of Pulverizing Attrition, Friction, Shearing and Impact are combined in this mill to give maximum performance, particle fineness, capacity and grinding efficiency. Crushing, Grinding and classifying at single stage. Steep fine particle recovery rates. Mini-Pulverizers offered by us are very compact in Design and efficient in operation.They are available in standard and customized sizes & Dimensions. These Single Mill Pulverizers are known for Dust free operation, robust construction and smooth performance. Wet and dry grinding of soft to medium hard products. Easy to cleaning and maintenance. Less operation cost with maximum production. Mini-Pulverizers offered by us are very compact in Design and efficient in operation.These Double Stage Pulverizers are available in standard and customized sizes & Dimensions. 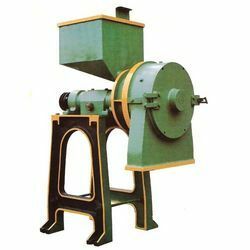 This Double Mill Pulverizer provides integrated dual Crushing and Grinding in a single process. 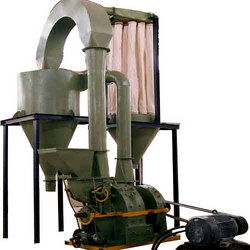 These machines are known for Dust free operation, robust construction and smooth performance. Grinding and Blending in single operation. Energy Efficient with higher output.